When a wire is joined to a positive and a negative terminal of a source of electricity that completes a circuit and electrons start to flow and we get an electric current. Then we can add appliances like bulbs or bells or fans etc. to the circuit and use the current from the circuit to do some work. The appliances that use electric energy and convert it to different forms of energy are called electric loads. They pose some resistance to the flow of electricity.
. The effective resistance is also the sum of the individual resistance of each load i.e. R = R1 + R2+ R+...+Rn. The brightness of the bulb is reduced when we add bulbs into the circuit because the potential difference is divided among the loads. There are two connection of loads in a circuit. They are parallel connection and series connection. 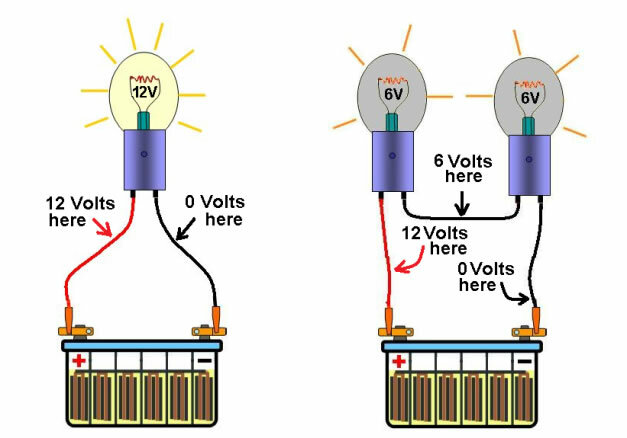 The cells are connected in such a way that the potential difference of the circuit is same as the cells used in the circuit but the time of current flowing increases is called parallel connection of loads in a circuit. Loads are said to be connected in the series when they are daisy chained together in a single line. Loads in series have a common current flowing through them as the current that flows through one load must also flow through the others as it can only take one path. Write any two characteristics of parallel circuit of loads. Value of electric circuit in each resistor is different but value of potential difference in them is same. Rest resistors work, if any one of them fails to work. If a number of resistors are connected in parallel, the reciprocal of the equivalent resistance is equal to the sum of reciprocal of all the resistors. 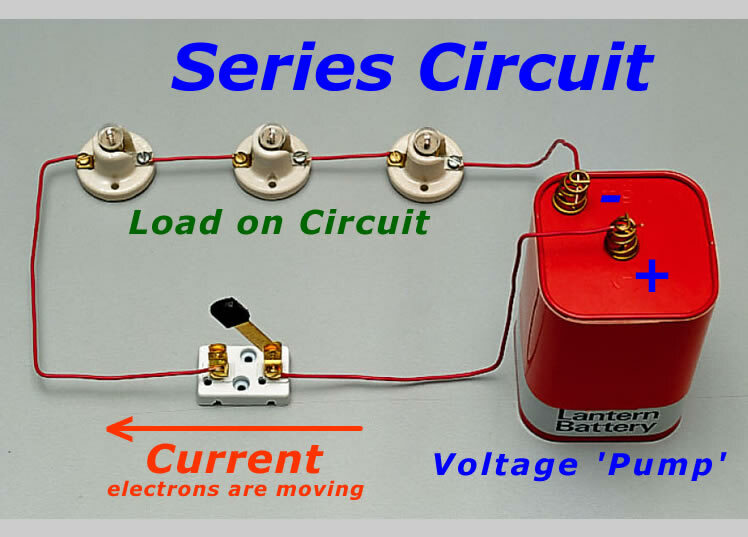 Write any two characteristics of series circuit of load. Value of electric current is same in each resistors but value of potential difference is different in them. The rest resistors do not work continuously, if any one of them fails to work. If a number of resistors are connected in series, the equivalent resistance is equal to the sum of all the resistors. Show any two differences between parallel and series connection of resistance. In this connection, same current flows throughout the circuit. In this connection, current will be divided into different load differently depending on their electric load. The sum of potential difference of each load gives the total potential difference. The sum of current on each load gives the total amount of current. ……i.e. 'R' is less than individual resistance. In series combination, current through each resistor is same but potential difference across each resistance is different. In parallel combination,current through each resistor is different but potential difference across each resistance is same. The energy supplied by the cell to make the flow of unit charge in an electric circuit is called its electromotive force. In short, it is written as e.m.f. It is measured in volt. The electrical pressure between two points which determines the flow of charge is called potential difference. If a 100 watt electric bulb has resistance of 484 Ω, how much current will flow through it if it is connected to 220 V mains? What type of combination of cells in the given circuit. Calculate the power of the bulb of 0.2A current flows through the circuit. Series combination of cells is shown in the given circuit diagram. Power of the bulb (P) = ? Hence, the power of the bulb is 0.6 watt. What current is taken by a 2.5 kW electric heater on the 220 V mains? What capacity of fuse will be suitable for it ? Therefore, the current is 11.36 A in the circuit and a 13 A fuse is suitable for the circuit. The appliances that use electric energy and convert it to different forms of energy are called ______. In which combination electric current divides up among the loads but potential difference remains the same? In which combination if any one of the load fails it does not affect other loads? In which combination potential difference is divided among the loads? An electric bulb becomes more brighter when magnitude of voltage increases, why? Any Questions on 'Electric Load '?